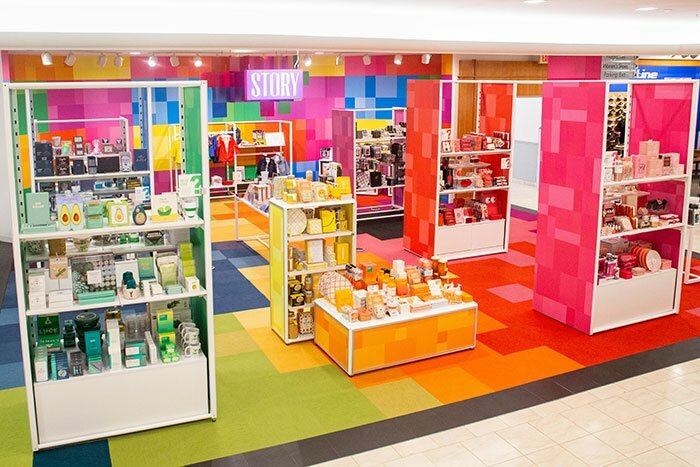 Story retail concept rolls out across Macy’s stores in the U.S.
Macy’s has rolled out its innovative, flexible retail concept ‘Story at Macy’s’ across the U.S., according to a report by WWD.com. The retailer purchased Story boutique in 2018 from Rachel Shechtman, who joined the company as Brand Experience officer to help integrate the format for the store. The new 1,500 square feet concepts are being launched in 36 stores, with it offering a customizable, flexible retail set up, giving the company the opportunity to change its merch, products and décor every two months. The inaugural Story theme for Macy’s is ‘Color’, with the stores selling around 400 items targeted at men, women and children, from approximately 70 companies. Speaking in an interview with WWD.com, Shechtman said, “We are coming out of the gate with an infrastructure. The idea behind the launch and opening with 36 stores across the country is to really focus on making sure we cover communities across the country. The New York flagship story will cover 7,500 square feet and is around five times larger than that of other Macy’s Story stores.